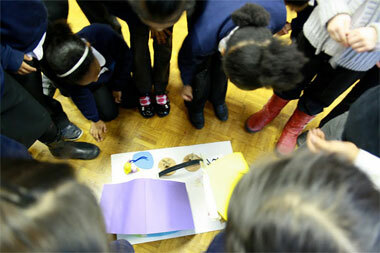 This week at Mannings School it was all about preparing material for an exhibition. Rather than drawing plans, we decided to photograph the lightboxes the students made last week from above. 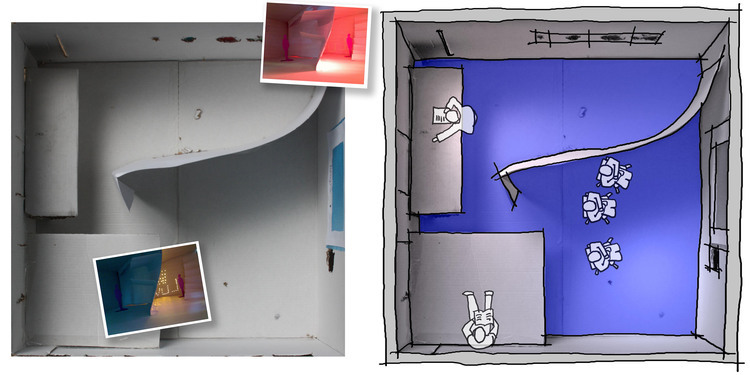 The models were fine as lightboxes, but a bit scrappy for the plan view, so we added some sketchy detail and people. Continuing our work with Manning School, we brought the school pupils to Nottingham Trent University, where they worked with 2nd year NTU students from the Interior Architecture course. 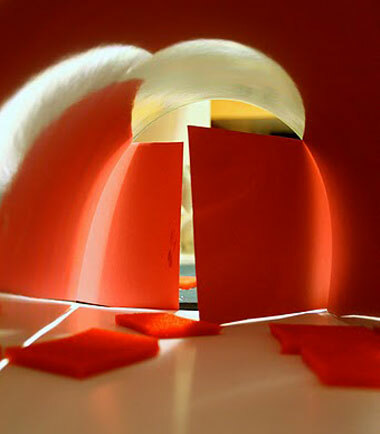 With help and guidance from the students, the school pupils built lightbox models, lit them carefully with coloured light and took these evocative photos. 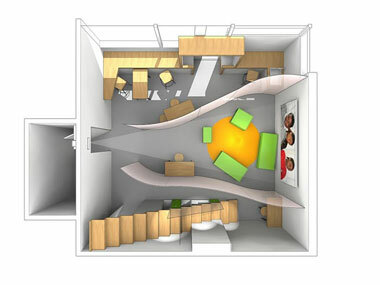 Working with pupils at Mannings School in Nottingham, we surveyed a classroom that will be converted into a creative learning space. A quick Sketchup model was then virtually 'unfolded' to create a printed paper net. In class the students then cut and glued to create sketch physical models, before starting to experiment with transforming the space. Next time we will use thicker card, and investigate laser cutting. Rapid prototyping might be the logical step, but then a whole stage of physical creation of the model, and understanding folding, geometry and nets would be missed, so maybe not.